The Financial Times reports that workers are resigning from McDonald’s – because new menus, new choices and frequent changes require too much thinking and learning, and creates too much stress for employees. In the “good old days,” menu choices were limited. Buttons told McDonald’s workers exactly what to do. It was the ultimate non-VUCA work environment, tailored for entry workers who would put on the uniform, learn the rules and follow the structure. And structured for managers to replace minimum-wage employees quickly and efficiently, without missing a beat when knowledge walked out the door. Innovation Leadership demands something different. 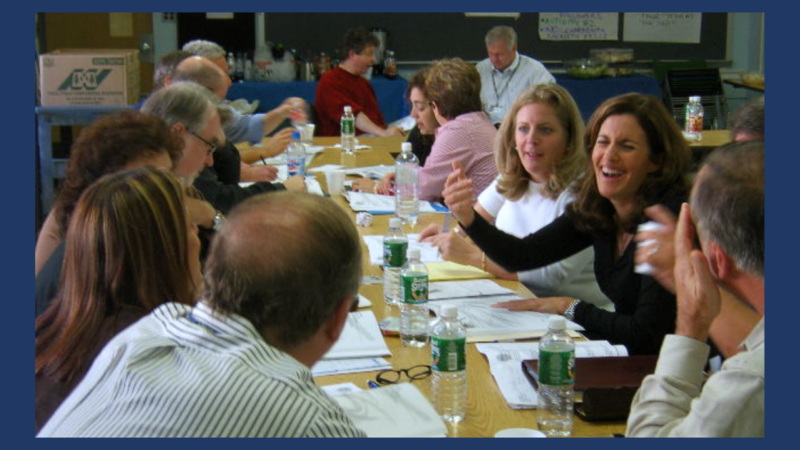 It’s been 15 years since we wrote The Courage to Act — about how conflict-prone realities can inhibit brilliance and initiative in organizations that are conflict-averse, and how leaders can build Courage to replace risk-averse traps with inventive thinking. We cited ARAMARK as an example of a Courage-building company – leveraging its expertise in foodservice to grow a broader range of contract services, based on the ability of its managers to stretch and learn, not just stay with the skills and routines they’d already mastered. And we shared what we saw in dozens of other companies, in life sciences, technology, defense, safety and financial services – who required more judgment, intelligence, peripheral vision and co-ordination and accountability, not absolution, for impact and results. What’s worse than losing workers who throw up their hands and say, “I can’t work here anymore. It’s too stressful.” Level 2 paralysis. Level 1 blaming and complaining. Level 0 avoidance. When workers quit, at least you’re no longer paying to keep them on the payroll, operating at 50% of capacity – or less. You’re no longer assuming responsibility or liability for their mistakes (like the stagnant “just-don’t-care” United flight attendant who caused a puppy’s death by ignoring a customer who warned her about the danger). Our point 15 years ago – and today – is that a lack of Courage isn’t just debilitating and frustrating. It’s expensive. 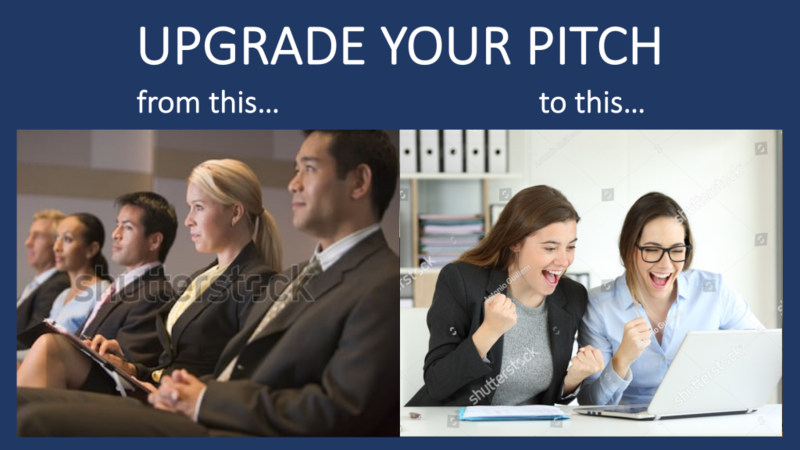 If you want to PowerUP Brilliance – when new standards, new products, or new caregiver or payer requirements demand Level 4/Level 5 initiative, judgment, sensitivity, inventive thinking with conflict-prone VUCA realities – you can make that happen. Leaders who build Courage: AIM high with noble purpose. ALIGN interests with trust to put “we” ahead of “me.” ASK for diverse perspectives with openness and candor. ADHERE to disciplines that equip colleagues to catch what you’re throwing. ACTIFY passion, pride and make it fun to go faster and solve tougher problems. Can you build those steps into your leadership rhythm, to build Courage? Do you? That’s the question we invite you to ask of yourself and the leaders you deputize to PowerUP brilliance around you. 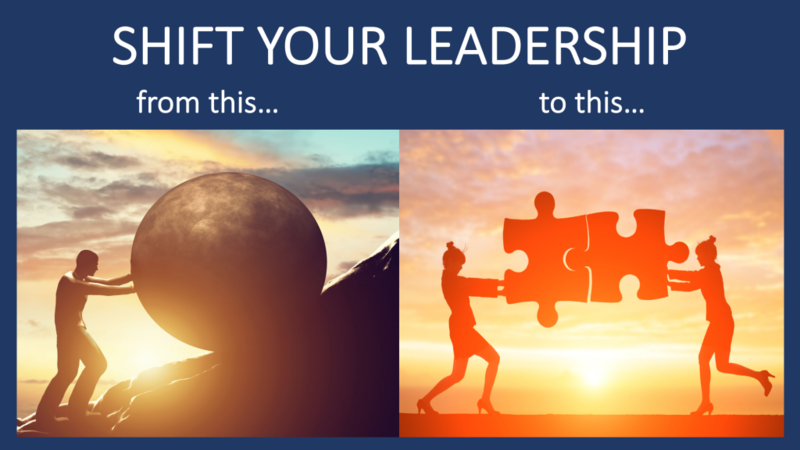 And the skill we can equip you to build – so your managers PowerUP brilliance when they raise the bar, whether they’re running a foodservice operation or complex disruptive life sciences or a healthcare franchise. Bon courage! 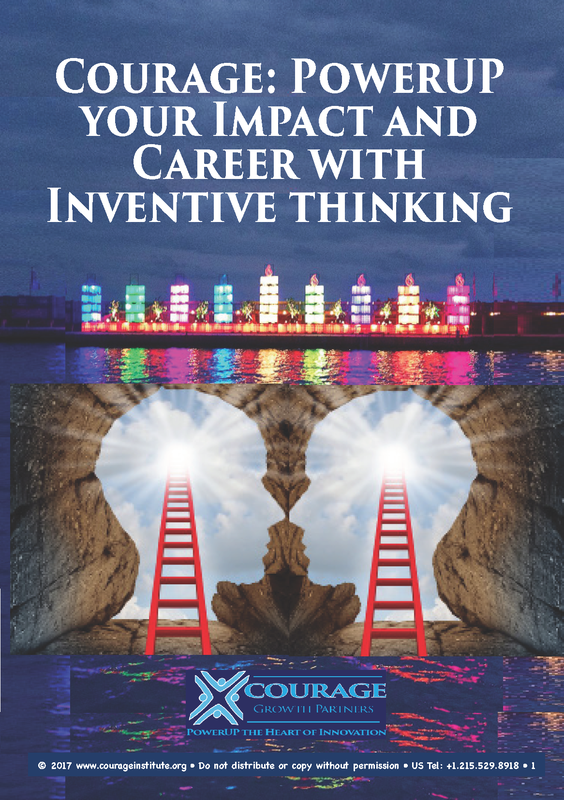 Dr Merom Klein and Dr Louise Yochee Klein are Principals @ Courage Growth Partners, a leadership consultancy that equips innovation leaders to build Courage and PowerUP Brilliance with inventive thinking, not risk-averse thinking. If you’re an Innovation Leader who’s got a brilliant idea to make a difference, Louise Yochee and Merom invite you to take their online assessment to see if you’re ready to build Courage and lift inventive thinking – and promise, your assessment results will go to you and not to Cambridge Analytica.